EDISON, NJ — Choice Home Warranty is proud to be recognized for superior customer service by Consumer Affairs and the Better Business Bureau. At Choice Home Warranty, we strive to deliver the best customer service to our clients. We know how important it is to maintain great customer relationships, and taking care of our clients has always been our top priority. We are proud to be a leader in home warranty services, and even more proud to be recognized for the superior customer service that we deliver to our clients. With a five star overall satisfaction rating on ConsumerAffairs.com, Choice Home Warranty has earned a reputation for customer satisfaction. Choice Home Warranty is ConsumerAffairs.com accredited and has nearly 1,500 five star reviews from happy customers. Choice Home Warranty also boasts an “excellent” five star rating on Trustpilot. 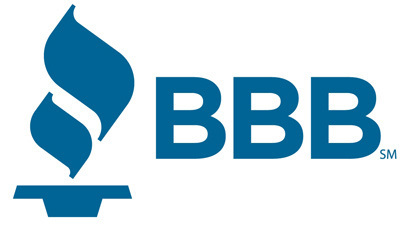 As of March 2015, Choice Home Warranty has a B rating with the Better Business Bureau. Choice Home Warranty earned this rating because the business has been operating since 2008 with a successful track record of responding to and resolving any complaints. Choice Home Warranty has made significant developments in the field of customer service. In late 2014, Choice Home Warranty debuted an all new call center to accommodate 150+ customer service representatives. This expansion has allowed Choice Home Warranty to grow the call center and customer service capacity by more than 30%. Perhaps most importantly, the expanded call center has enabled Choice Home Warranty to serve customers faster, more effectively, and with higher satisfaction ratings. “It is an honor to be recognized for our commitment to customer service, but the best reward is continuing to satisfy our customers every day,” said Mandalawi. Choice Home Warranty is a leader in home warranty service contracts and is proud to be recognized as a member of the Inc 5000. For more information about Choice Home Warranty’s commitment to customer service, please contact kelley@choicehomewarranty.com.